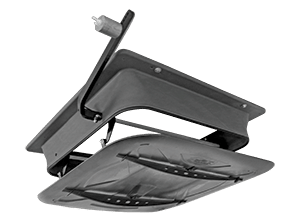 The AC3010 Fully Insulated Inlet is a patented 360 degree airflow actuated ceiling vent that increases fuel savings, air distribution, and air mixing. Improved air quality from usage of AC3010 360 Degree Attic Inlet means drier litter conditions and less humidity. Air enters the inlet from the attic and when the inlet is open, air is evenly distributed in all directions into the poultry house. The AC3010 Actuated Inlet gently mixes warm and fresh air without creating a down draft, resulting in even temperatures throughout the animal room. The larger bottom lid directs airflow from the attic vent along the ceiling instead of falling directly on the chickens or turkeys. 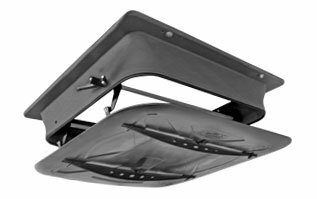 Other features of the AC3010 Actuated Attic Air Inlet includes its removable lid for ease of installation and cleaning. Easily reattach bottom lid with attachable strap - no bolts or screws to get lost or take off! The AC3010 Attic Inlet also has a new improved tight seal to reduce heat loss and air leakage. 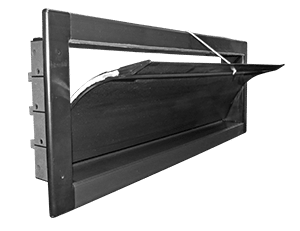 From ease of installation to performance, the patented AC3010 Actuated 360 Degree Insulated Attic Air Inlet has proven to be an exceptional poultry inlet. Designed for cold weather climates, the AC3010 360 Degree Insulated Actuated Inlet has a fully insulated housing as well as a very tight rubber seal, helping to minimize moisture build-up. 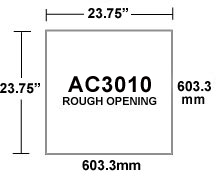 The AC3010 Inlet's radius corner design allows for 360 degree airflow with no dead spots - air doesn't hit square corners and deflect back into inlet. Correcting shortcomings of air distribution, the AC3010 Actuated Inlet has no blades to break, fall out, or get stuck open or closed. Air enters the AC3010 machine actuated inlet from attic and is evenly distributed in all 360 directions into the poultry barn. The air travels along the ceiling instead of falling directly onto the birds.